With a new baby on the way, the Woodall family wanted a fresh makeover for their Houston home — and they knew exactly whom to call for the job. Family friend and interior designer Audrey Moore had a new baby of her own and understood the couple’s style. The Woodalls already loved the floor plan and character of their turn-of-the-last-century house, with its original architectural details, so no major renovation was required. 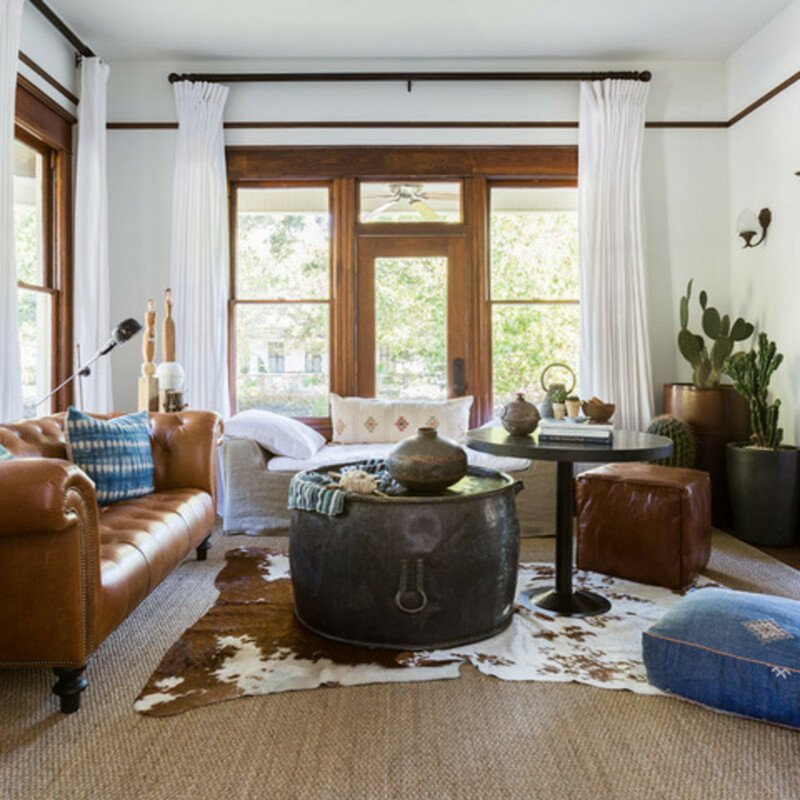 The mission was to capture a bit of what Moore calls the “nomadic, bohemian vibe” that the homeowners craved. Who lives here: Aimee Woodall, founder and owner of The Black Sheep Agency; her husband, an executive with an oil and gas company; and their newborn baby. Location: The Heights neighborhood of Houston. 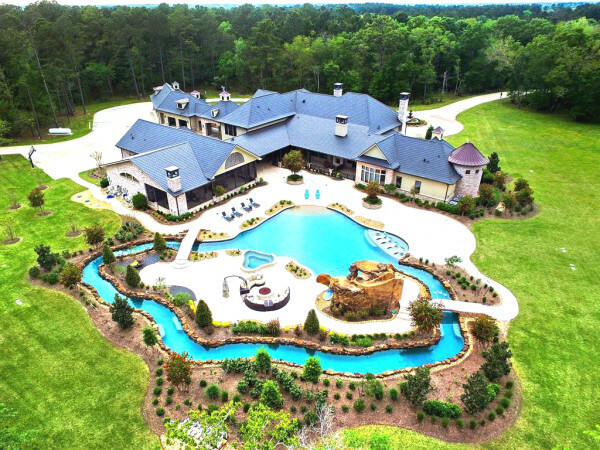 Size: About 2,700 square feet (251 square meters). Designers: Audrey Moore of Audrey Moore Design and Jana Erwin of Nest Design Group. When Moore arrived on the scene, the walls were golden yellow and the home had an Arts and Crafts vibe. 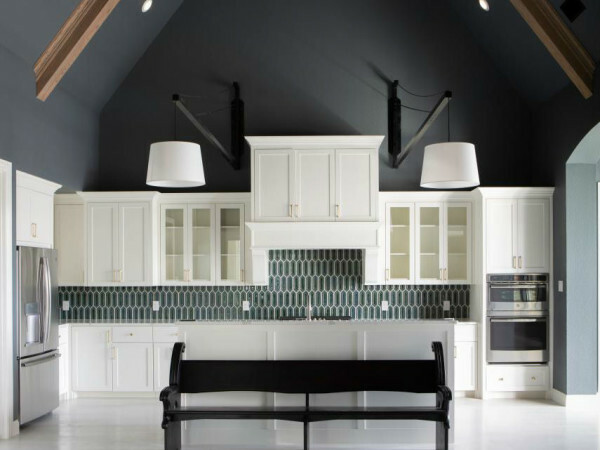 She started the project by splashing fresh white paint on the walls and repainting the moss-green kitchen cabinets in a glossy white. 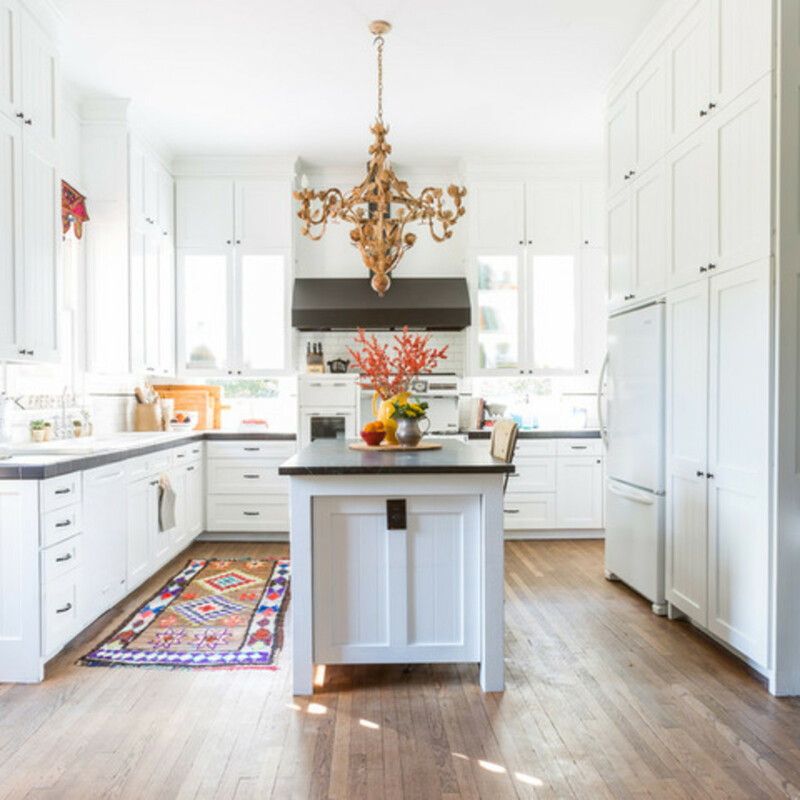 Homeowner Aimee Woodall and Moore had been searching Justina Blakeney’s popular design blog Jungalow when they saw an Indian toran valance just like the one that now hangs above the sink. 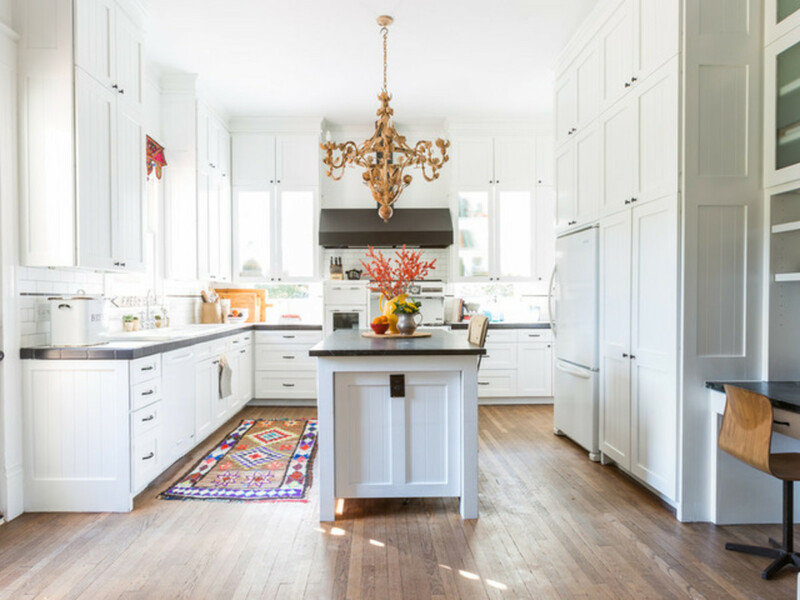 They knew that the kitchen, now predominantly white, could handle the burst of color and pattern. The team learned that these valances are commonly used to decorate camels, so they wrangled up other camel-inspired swag to sprinkle through the rest of the home. In keeping with the multicultural influences, they purchased the kitchen runner from a Middle Eastern rug dealer. A vintage range with warming drawers is original to the house. 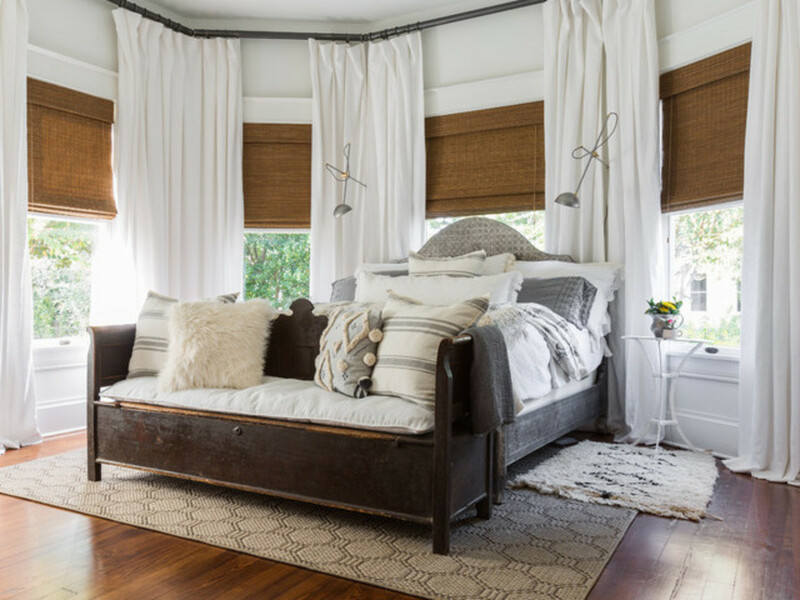 The living room sofa was a custom order from Cisco Brothers, and the linen daybed was a custom purchase as well. 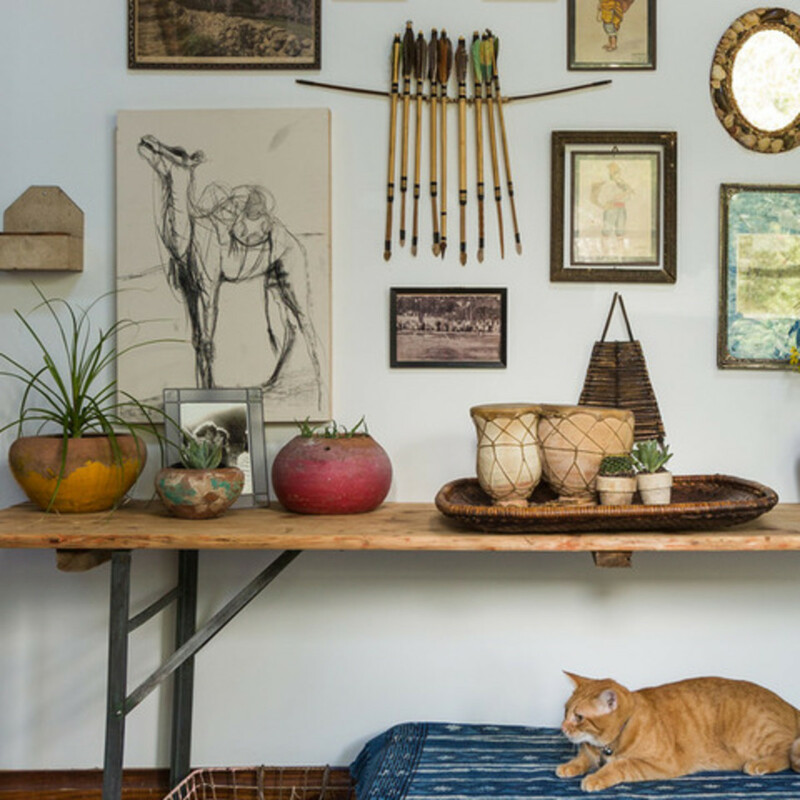 Many other items in the home were purchased locally at antiques shops or home boutiques, including Georgia Brown Home, Stardust Antiques, and the Round Top Antiques Fair. 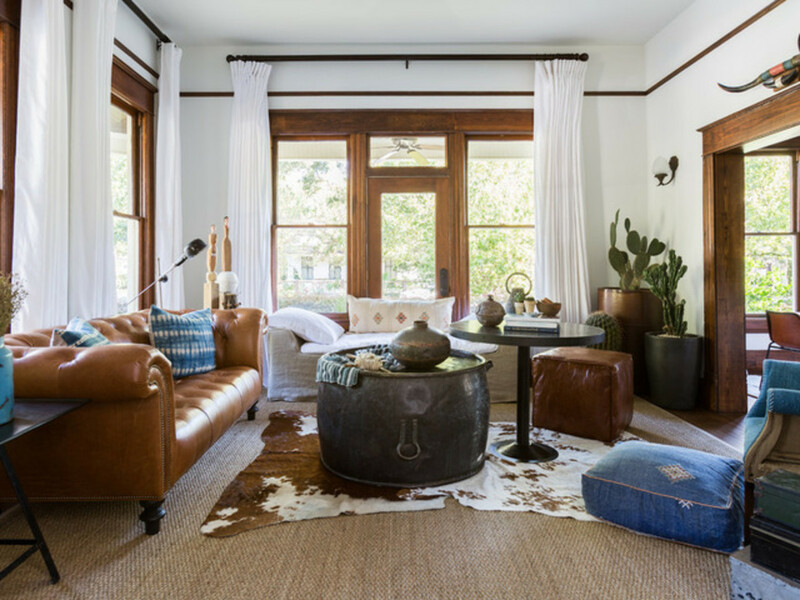 In the center of the living room is a large metal drum used in a previous life for dying fabric in India. Moore spotted it at Georgia Brown Home and was intrigued by its story. Even the spout on the drum’s right side, where the dye drained out, was intact. 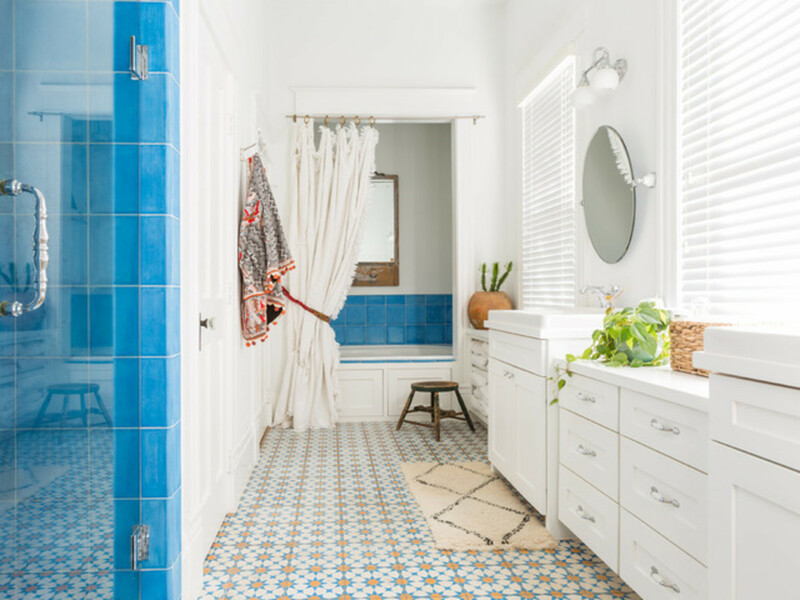 A blue accent scheme emerged after Woodall found an indigo-dyed African tapestry and bought it with the idea that she would find a place for it in the new design. The textile ended up covering an ottoman, not pictured, and inspiring the rest of the blue additions throughout the home. In fact, Moore says, the team “just became obsessed with these indigos” and started collecting them, though rather unconsciously — it was always, “Oops, I bought another indigo fabric!” So they took blue and used it as their grounding hue, layering on other colors, like rich browns and the jolts of red found in some of the Turkish and Moroccan rugs. The floor cushion was picked up locally, and the denim wing chair was found as-is at Kuhl-Linscomb. In the master bedroom, swing-arm sconces illuminate the couple’s hand-embossed bed from Anthropologie. 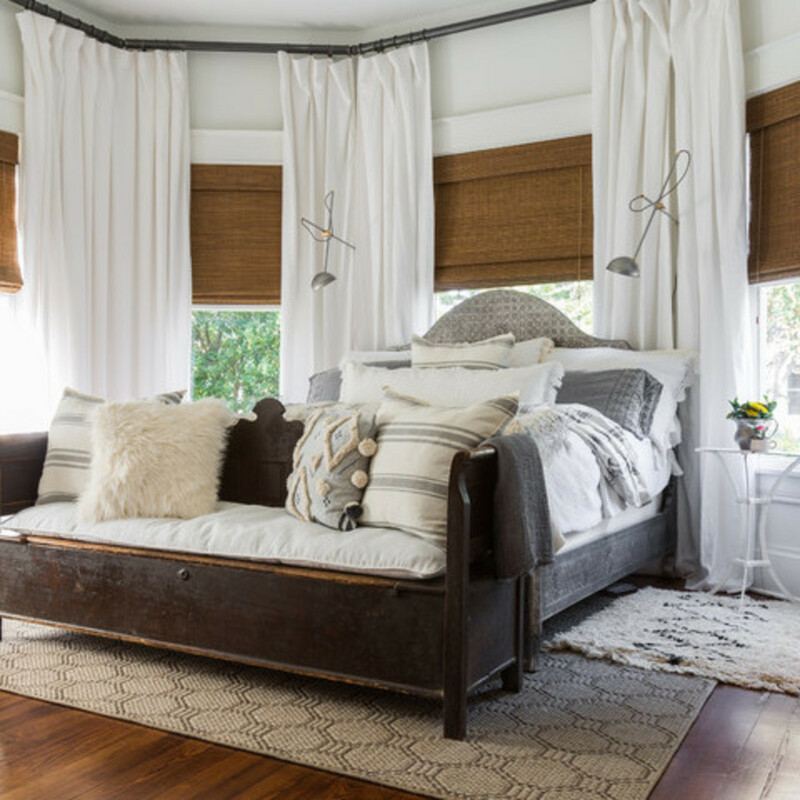 The palette is soothing whites and neutrals in earthy textures like linen and woven wood. The bench at the foot of the bed came from a local antiques store. No significant changes were made to the bathroom. The tiling in this space was what sold the Woodalls on the house to begin with. 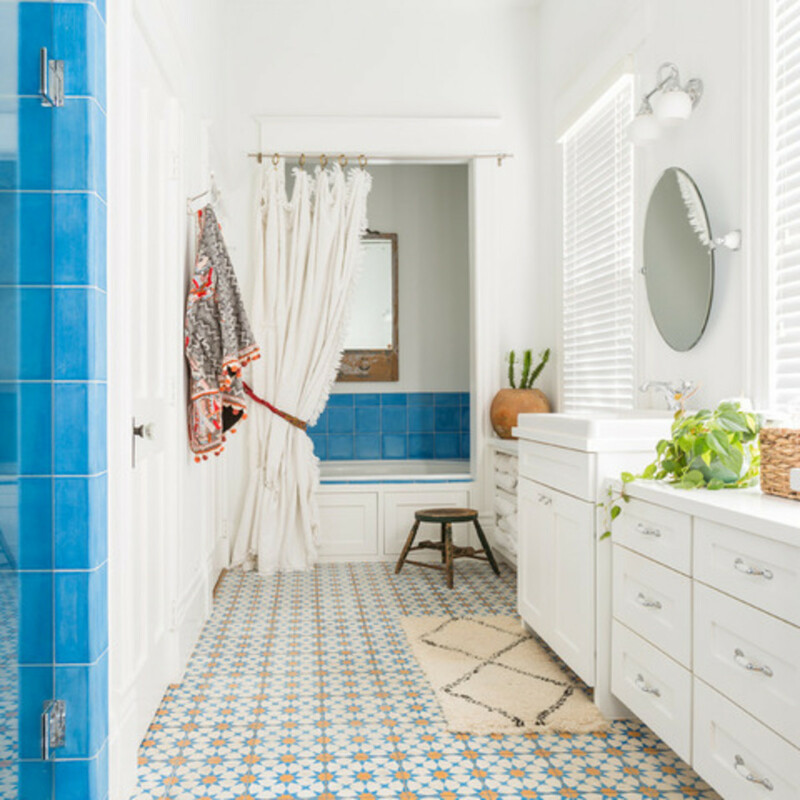 With the spectacular tile and the vanities already in place, attention turned to the wall space above the tub. After trying a few different art pieces, a vintage mirror from Woodall’s existing collection did the trick. A cozy vintage chenille blanket used as a shower curtain (or bathtub drape) is an unexpected touch that serves its purpose and reinforces the bohemian aesthetic. Something else you’ll notice here and throughout the home are cactuses galore. “Any nook and cranny that needed something, we put a cactus. We couldn’t buy enough! The house just absorbed [them],” Moore says. Woodall found the antique farmhouse dining table at the Round Top Antiques Fair. The vintage table is paired with new Roadhouse leather chairs by CB2, which were purchased as budget-conscious alternatives to other leather chairs the team had selected. 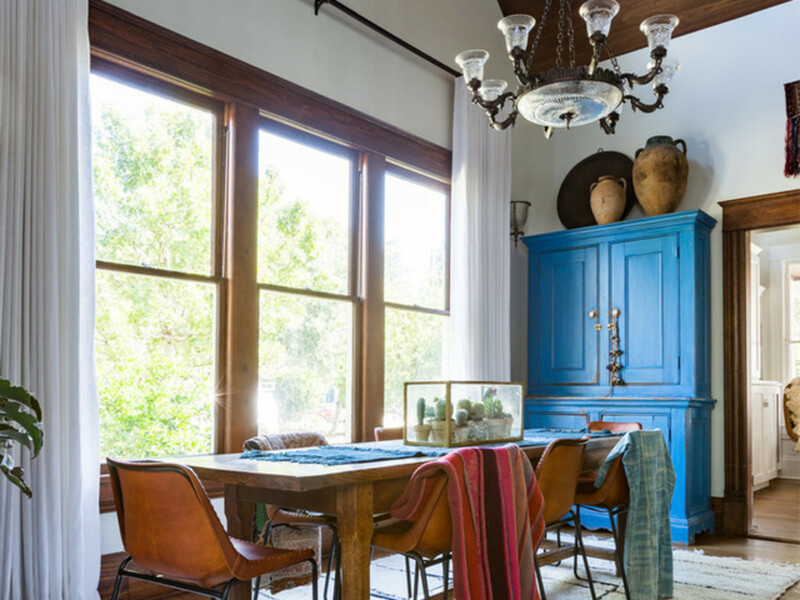 With the table and chairs in place, the room still didn’t feel quite finished, so the designers added Mexican blankets to the chair backs for additional texture and warmth. 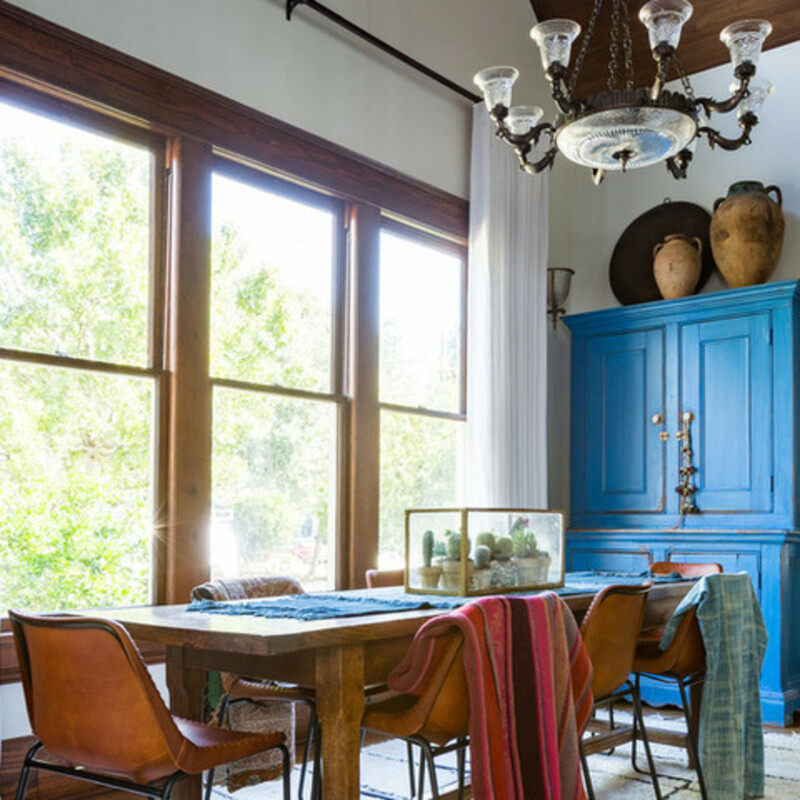 Finally, to tie in the blue accents found throughout the house, a blue hutch from Round Top completes the scene. Across from the dining table and its wall of windows was prime real estate for a gallery wall. Since it’s the side of a staircase, it lacked symmetry and paved the way for a myriad interesting layouts. 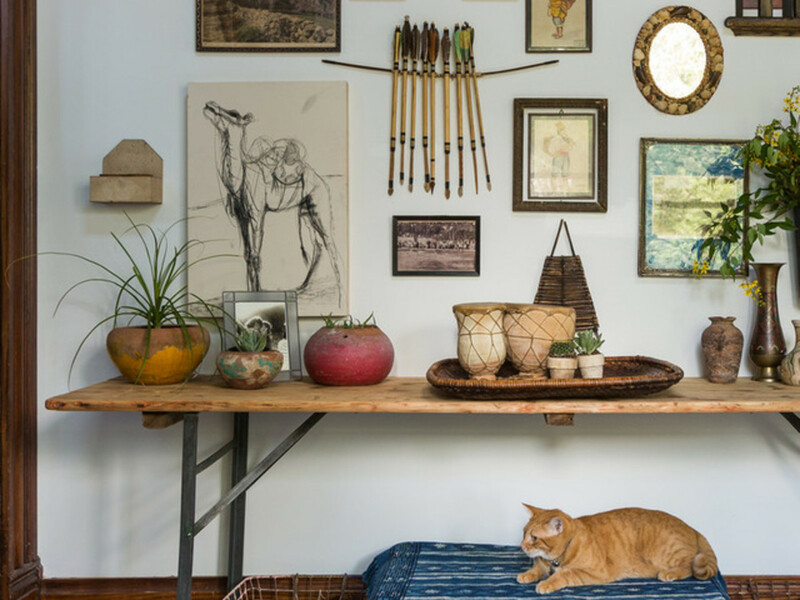 The wall is covered in art and accessories from the homeowner’s collection of vintage family photos, pieces gathered at the Round Top Antique Fair, and works commissioned from local artists. For example, the wood carving of two eyeballs is by Matt Messinger.